This is a 100% fully synthetic scooter lubricant designed for hig performance and powerful scooters. It is also manufaxtured for 4 stroke engines with or without a catalytic converter. 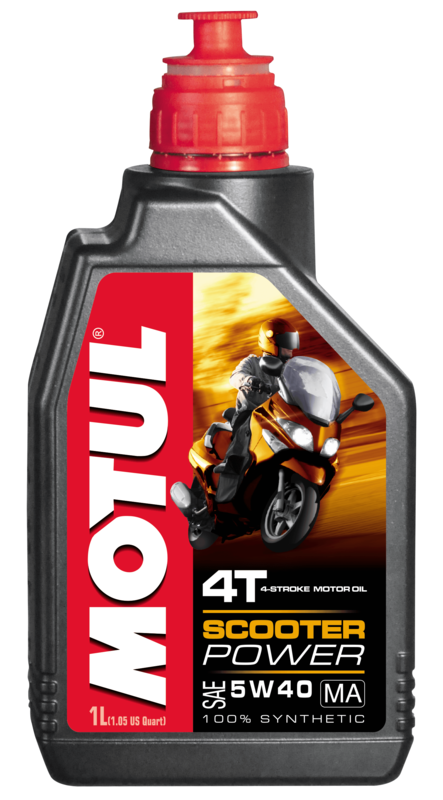 This lubricant is ideal for scooters which have an integrated gearbox and wet clutch. Thanks to the 5W40 viscosity grade, this lubricant corresponds with most manufacturer's reccomendations and also improves the engine start upsin cold temperatures.